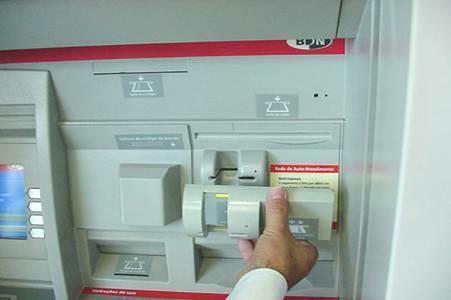 How to avoid ATM skimming. It looks like ATM skimming is increasing. I’m going to venture a guess: this means the technology used in these crimes has finally become cheap and user-friendly enough that any jerk can set it up. C’est dommage. 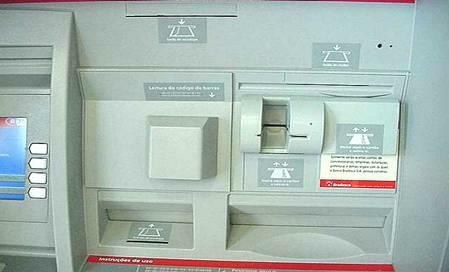 What is ATM skimming? For those who might not already know, it essentially involves a card-reading device placed over the real card slot on an ATM. This device captures account information from the card. Meanwhile, the victim’s PIN is captured, either with a small camera hidden on the machine or with a keypad overlay that can be removed later. The criminal creates new cards using blank plastic card stock (even unactivated gift cards), which are then used to drain victims’ accounts. All of these devices can blend in extremely well with the real ATM hardware, and can be hard to detect. So, how do you avoid ATM skimming? First, only use ATMs in well-lit areas, and that have security cameras installed. The machine outside a financial institution with a camera and a bank of floodlights is going to be a lot harder to retrofit than the one at the corner of a poorly lit parking lot on the crummy side of town. Actually, I don’t use the stand-alone machines regardless of location, since the fees tend to be high. Second, pay attention. Get off the cell phone, while you’re at it. Yes, I know—that’s why you didn’t go through the drive-up lane, right? You were tired of getting the stink-eye from the teller because you were on the phone during your transactions? Well, put the phone down when you’re at the ATM, too. For one thing, you need to be alert for suspicious devices. For another, it’s always a good idea to be alert to your surroundings any time you’re handling a wad of cash in public (for your physical safety). You can’t do either with a cell phone on your ear. It was partially covered by a skimmer. This is just one possible sign of skimming. A reader that’s a different color than the rest of the machine can also be a clue. However, some of these devices are small enough to only cover the slot itself. A lot of machines have lights around the slot; if these are not visible, it could mean a device has been attached. Basically, if something doesn’t seem right, find a different machine. Also check out any brochure racks or other items on or near the ATM. Cameras can be hidden just about anywhere these days. As an extra precaution, when you’re entering your PIN, cover your hand with your other hand. Actually, I usually just manhandle the machine a little before I insert a card. I’ll give the card slot a little tug to make sure there isn’t any “bonus hardware.” I’m not saying I attempt to rip the reader out of the machine like King Kong or somebody; I just give it a little push to make sure it’s part of the machine. These devices are usually held loosely in place with glue or tape, as the thief must remove them later. I also give the keypad a once-over. If it sticks out too far or looks strange, it could be a warning sign. However, if you do this, and a skimmer detaches itself from the machine, either contact the financial institution (if it’s nearby) or the police. Whatever you do, don’t just throw it away or keep it. That would tend to make it look like you’re the one running the scheme. There are several videos on the subject. This one is a news story from a few years ago. At around 0:48, you can actually see how tiny the skimmer itself is. The one in the photos above looks clunky by comparison. Skimming devices have also shown up on gas pumps as well as ATMs. I actually avoid these altogether by using cash for fuel purchases—I’m old-school that way. However, if you are going to use your debit or credit card for gas, make sure to look before you swipe. Gas pumps are an easy place to stick a skimmer, because card readers in this case vary from station to station, and (at least around here) most of them look like they’re about to fall apart anyway. It’s hard to tell what’s legit and what isn’t. So, the main rule at the pump is to pay attention. Don’t get swept up in the convenience of pay-at-the-pump abilities and forget to check. And get off that phone. Those things make gas fumes explode. Or maybe they don’t.